The 1709 Blog: The COPYKAT muses - art for art's sake? 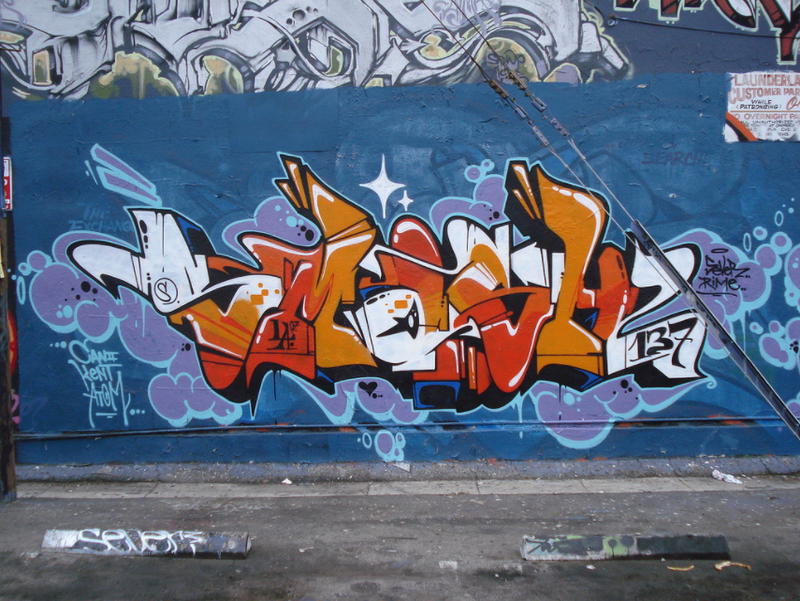 In 2014, SMASH 137 participated in an art project called the “Z Garage” in Detroit, Michigan USA. The Z Garage is a 10-storey parking garage in central Detroit's business district with 1,300 parking spots, and features murals from 27 internationally renowned artists. Two years later, General Motors (GM) developed and launched an international media campaign to promote its new Cadillac XT5. In several still-image advertisements, Cadillac featured SMASH 137’s Z Garage mural as the centrepiece artistic element. The campaign was entitled “The Art of the Drive,” which echoes a connection between the vehicle SHASH 137’s mural in question. It was shown on Cadillac’s Facebook, Instagram and Twitter accounts, and is reported to have reached at least 6 million viewers. 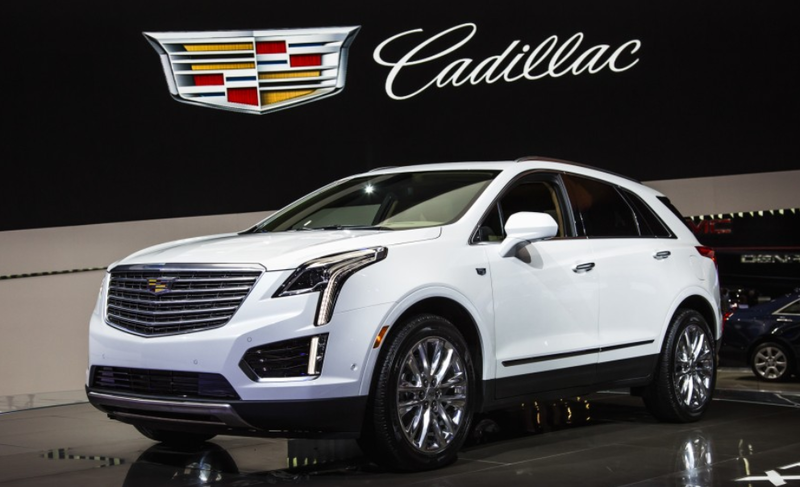 For a sense of the car model’s popularity, according to sales figures, 13,000 Cadillac XT5 vehicles were sold in the United States during November and December 2016 alone, worth an estimated $500m in revenue for GM. Accordingly, SMASH 137 is suing for damages and injunctive relief for copyright infringement related to GM’s “misappropriation of his original graphic expression”. He is also asking that the matter be decided by jury. 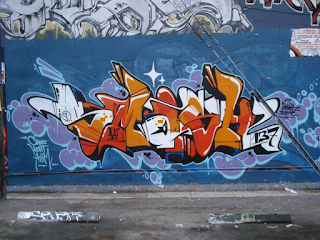 Interestingly, SMASH 137 also claims that that his prominent signature on the mural was deliberately removed from the advertisements, because “photograph of the mural is taken from an angle that renders the signature not visible.” According to the lawsuit, this conduct constitutes a violation of the integrity of SMASH 137’s copyright management information (“CMI”). CMI includes the title and other information identifying the work, as well as the name of, and other identifying information about, the author of a work. Under 17 US Code Section 1202(b), “no person shall, without the authority of the copyright owner or the law, intentionally remove or alter any CMI […] or distribute works knowing that CMI has been removed or altered.” Suing under 1202(b) is a lesser-known “double attack” particularly relevant in cases where artwork is signed. In other instances, removing the copyright symbol © may also constitute a CMI violation. To be guilty of Section 1202(b), the Defendant must have wilfully intended to remove or alter the CMI. SMASH 137 and his legal team assert that GM’s omission of SMASH 137’s signature from the advertising campaign was a deceitful and deliberate attempt to conceal their infringement. If GM are found to have violated Section 1202 wilfully and for purposes of financial gain, the court has the power to demand enhanced damages of up to $500,000, imprisonment for up to 5 years, or both. Juan Marcos Montes, known by his art name as Juan Marco, is an artist from Los Angeles, California who has created illustrations and branding projects for the last decade. According to his website The Future Bones, his collaborations have included work with Sony Music, Warner Bros, and The Uprising Creative. 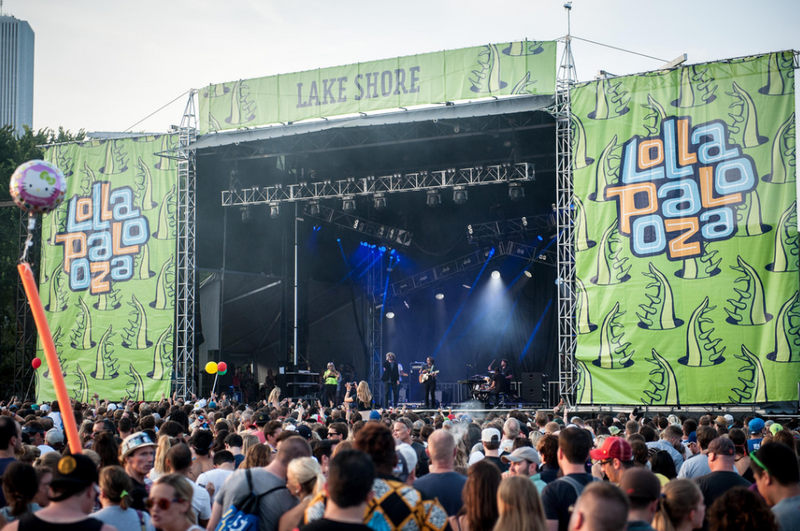 Marco recently granted a three-year limited licence agreement with C3 Presents, a concert promotion and artist management company responsible for the popular Lollapalooza music festival. As the official designer of Lollapalooza, Marco’s work featured characters “inspired by musical energy — how it flows through your body when you create and listen to music.” His creations for Lallopalooza are featured on his website portfolio. The original licence was for the non-exclusive use of various illustrations for Lallopalooza events in Chicago, USA and Santiago, Chile for three years. However, in a lawsuit filed in California District Court last week, Marco argues that his illustrations have been used outside of the original scope as agreed in the licence (Juan Marcos Montes vs. C3 Presents and Live Nation, Case 2:18-cv-01150). The alleged infringement includes using and modifying the artwork in unauthorised ways, as well as using it in locations beyond Chicago and Santiago. For example, his artwork is used in connection with the Lollapalooza event in Paris, as seen on the Lollaparis website. Additionally, Marco accuses C3, Lollapalooza and the Uprising Creative of sub-licensing his artwork without his permission, in order to manufacture and create products which are similar or substantially similar to Marco’s original artwork. Marco is therefore claiming for copyright infringement, together with vicarious and contributory copyright infringement. In the first claim, he alleges that he has suffered substantial damages – both general and special - to his business. He notes that the Defendants have profited as a direct result of their “wilful, intentional and malicious” copyright infringement, and is asking for statutory damages of up to $150,000 per infringement. Unlike Adrian Falkner in the above General Motors story, it is interesting to note that Marco is not seeking any damages in respect of harm done to his reputation. By his own admission, Marco has previously collaborated with big names in the music industry, as well as freelance work for record labels and bands. Rather, Marco takes issue with the ways in which the artworks were used in contravention to the original licence agreement. It is therefore important to remember that permission to use artwork usually come with very specific strings attached. 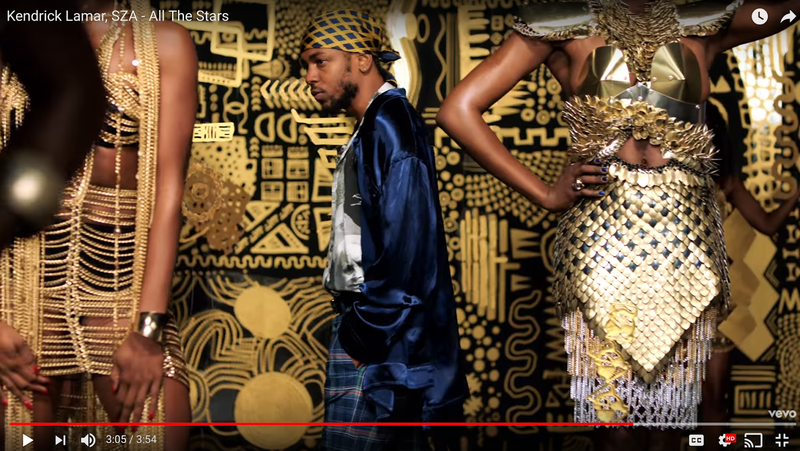 To promote the film and its music, American rapper and songwriter Kendrick Lamar, together with American R&B singer SZA, recently released a music video for the film’s soundtrack, entitled “All the Stars.” However, the producers of the music video are now accused of stealing from African artists. British-Liberian artist Lina Iris Viktor, who currently resides in New York, has garnered praise for her series Constellations. The work is characterised by unique patterning, using what she considers a “purist colour palate” of only black and 24-karat gold. Viktor found out about the music video from friends who called her to say they’d seen Constellations featured in the video. The alleged infringement begins three minutes into the video, and lasts for 20 seconds. The letter also points out that Viktor had been previously contacted on two separate occasions in respect of using her work in association with Black Panther. In the first instance, a Marvel Studios set decorator asked Viktor directly if he could feature Constellations I in the film itself. On the second occasion, a public relations firm contacted the Mariane Ibrahim Gallery in Seattle, which represents Viktor. The firm wanted Viktor to provide Marvel Studios and Disney with artworks for the purpose of promoting the Black Panther film, including a video. In both instances, Viktor declined the opportunity to be associated with Black Panther, for reasons apparently related to financial terms and exclusivity. At present, no official claim for copyright infringement has been filed. The letter simply asks the “All the Stars” crew to discuss a resolution of Viktor’s claims, “consisting at a minimum of a public apology for the unauthorised use and a license fee.” In her interview with the New York Times, Viktor explained that these allegations are “an ethical issue” and not about monetary compensation. She noted that the film’s creators focus on black empowerment and African excellence, but at the same time appear to support what she considers cultural appropriation. Lamar, Top Dawg, Marvel Studios and Disney have not yet responded to the allegations. Copyright law and other intellectual property laws can certainly plays a part in the protection of traditional cultural expressions. However, the Constellations and “All the Stars” matter calls into question the fine line between infringement and inspiration. Style and general colour schemes are not protected by copyright law, regardless of the form in which it is illustrated or embodied (17 USC Section 102(b)). Segments of Kendrick’s music video clearly appear (in this writer's opinion) to have been inspired by Viktor’s artwork. There are several striking commonalities with the patterns and colour schemes used, and certain actors’ poses mimic Viktor’s portraits. Nevertheless, proving that the substantial similarity goes so far as to amount to copyright infringement may be difficult. Should the team behind the Black Panther video have a legal question to answer, they will need to demonstrate that the works they chose to feature in “All the Stars” did not actually infringe Viktor’s copyright – despite being quite similar. In an attempt to settle this allegation as quickly as possible, and indeed – to protect the narrative of promoting African and African American artists in general – the studios behind the Black Panther film and its soundtrack may simply elect to issue Viktor with an apology and a considerable licence fee. Given that the film is expected to smash box office records, and the Black Panther soundtrack has likewise become a hit with audiences, coming up with compensation is unlikely to be too much of a problem.